The Massoth DiMAX 1-channel function and switch decoder is a small completely sealed waterproof decoder with 2 programmable contact inputs. It can be operated digitally with a function key, or mechanically with a push-button or track contact. It is controllable via a switch address or a locomotive address. It features one coupled function output in switch address mode or 2 function outputs in locomotive address mode; all function outputs are dimmable. It can be used to control lights, coil-operated switch drives (2 leads), electrically-operated motor drives, and RC servos. 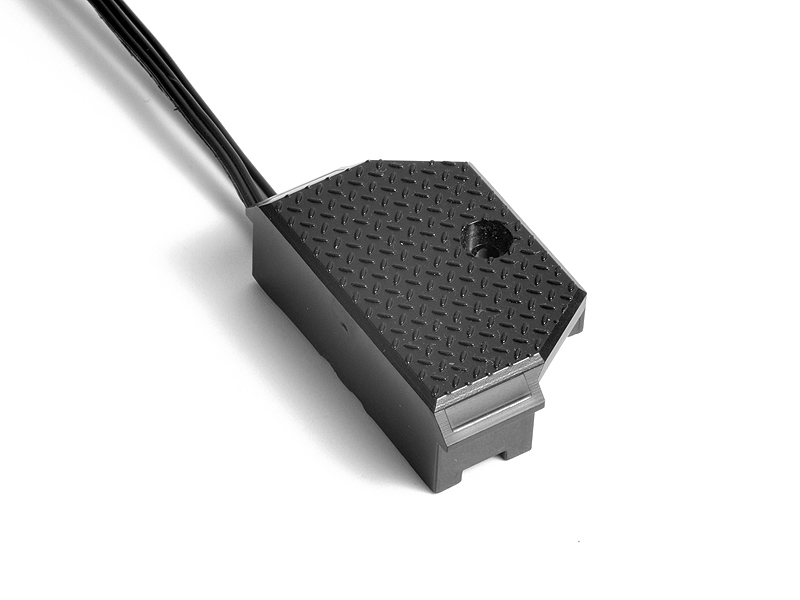 it can also be used to control the tilting of the kettle of an LGB® 40560 Hot Metal car, or raising and lowering the sidewall of an LGB® 41610 Unloading Car. The switch decoder fits between track sleepers; it can be affixed to the track using the provide screw and the hole in the switch housing. The Massoth DiMAX 1-channel switch decoder may be used in place of the LGB 55024 switch decoder.